PANAMA CITY BEACH, Fla. — Thousands flock to Florida every year to relax on the sunshine state's beaches, and apparently even alligators can't resist them! In a now viral Facebook post, Lisa Niemiec shared pictures of a gator enjoying itself at St. Andrews State Park near Panama City Beach. "Just your average Florida beach day," one person commented on the post. Which has been shared over 6,500 times. Alligators can tolerate saltwater for a few hours or days, but generally stick to freshwater, according to the National Ocean Service. So don't worry! 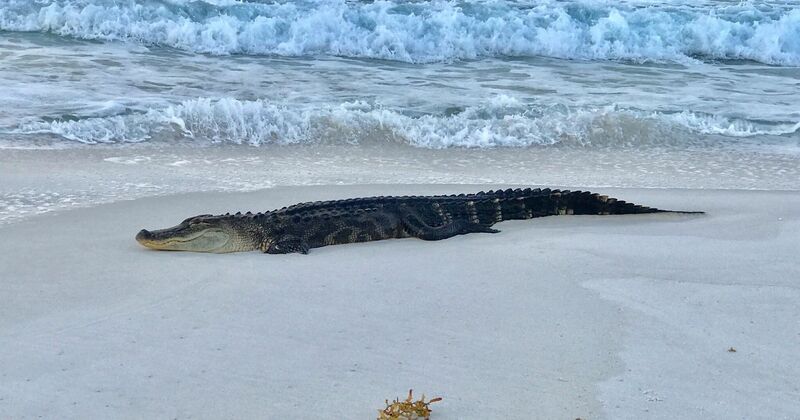 You won't likely see an alligator on the sand during your next beach day. But if you do, send it over to us at webteam@wfts.com!